What is most extraordinary about the crisis confronting rugby league referees is not the mistakes themselves, but the NRL’s bizarre responses. On Tuesday, those in power at the NRL proved they have completely misread the room. They just don’t get it. And there’s new question marks over exactly who is in charge at NRL headquarters. Strong words from the game’s CEO, but what was the actual result? 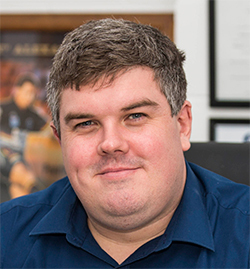 Head referee Gerard Sutton survives, albeit given a “less important” game this weekend (I’m sure the Warriors and Titans would take offence to that, however). Senior Review Official Luke Patten retains his spot in ‘The Bunker’, despite apparently not seeing the flag of touch judge Rick MacFarlane go up (which is an extraordinary claim on its own). McFarlane loses his job for the time being, as does assistant referee Gavin Reynolds. How do you justify sacking the assistant referee, but not the head referee? Steve Chiddy, who was dropped from The Bunker after that diabolical call in the Roosters v Titans game a fortnight ago, returns to the chair this weekend. What guarantees do we have that he’s rectified whatever bizarre thought process he had that saw him give the green lights to the Sean O’Sullivan try, which the entire rugby league world could see was a no try? Matt Cecchin, clearly the game’s best referee, is handed the whistle to do the lowly Bulldogs v Tigers game on Friday night, instead of the Roosters v Dragons game on Sunday, which is clearly the match of the round. Cecchin is clearly on the outer for whatever reason, but it simply cannot be performance based. That the NRL operates in such a way is in itself a major problem. That game on Sunday by the way will be refereed by Ashley Klein, who was somehow given a State of Origin post this year despite one of the howlers of the season back in round three in a match between the Tigers and Broncos. It was a mistake that could play a part in Ivan Cleary’s side missing the Finals. The NRL has lost the plot. It goes on about ‘talking the game up’ and believes that certain journalists are too negative, but then delivers a hot mess like it did on Tuesday and thinks we should all just deal with it because there’s a ‘process’ in place. How the NRL survives and grows in spite of itself is simply remarkable. It is a credit to the players. We have a Commissioner in Peter Beattie who has embarrassed himself on more than one occasion since taking over the reigns of the ARLC. We have a CEO in Todd Greenberg who seems to have no feel for the game or what the fans want. And we have a referee’s boss in Bernard Sutton who completely misreads what the game expects when major blunders are made by officials. And of course it goes deeper than that when it comes to the referees. The whole system is flawed and doesn’t allow a referee to get a feel for the game. It needs to be fixed by someone who knows what they are doing. Match officials have been getting calls wrong since 1908. They’ll continue to do so, too, but it is the type of errors that have been made and the NRL’s response afterwards that have most people so angry. Some people are so frustrated that they actually want to roll back the technology in our game. Go back to the old days, they say. It all came out even in the end. Of course, it didn’t, and as we often do we’re looking at history through rose coloured glasses. Can you imagine a Grand Final being decided by one of those incredible tries from a winger where the grounding or touchline is in question, and the wrong decision being made? There is no question we get more decisions correct now than we did prior to the introduction of video technology. The reality is that technology hasn’t got one decision wrong this year. The human beings operating the technology have, however. The NRL had an opportunity on Tuesday, after consecutive weeks of major controversy, to draw a line in the sand over what is and isn’t acceptable. If it’s not fixed soon, there won’t be a game to “talk up”.